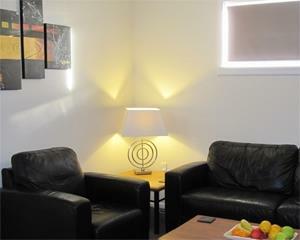 Cashel Court Motel is ideally situated for visitors to the Garden City. Our fully refurbished rooms provide quiet, affordable accommodation, ideal for families, couples and individuals. The new rooms and the landscaping have been designed to provide a home away from home, ideal for families. Our accommodation features a children's play area, heated swimming pool and bbq area - all in a separate from the motel, so children can play while maintaining a peaceful environment for all the motels guests. 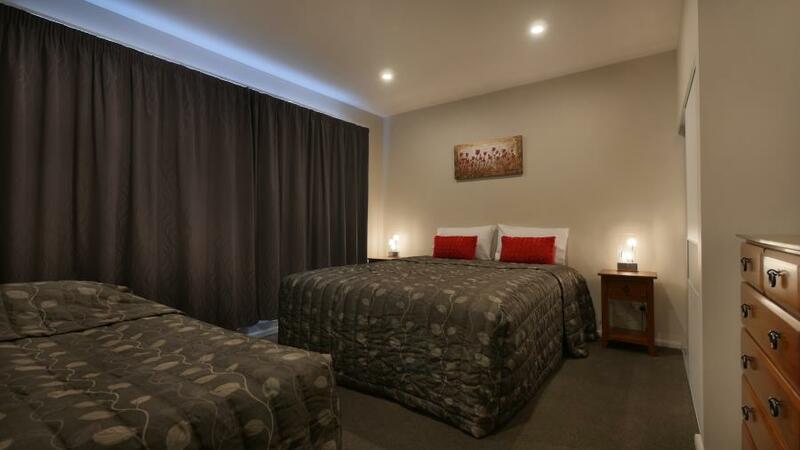 Hosts Helen and Grant go the extra distance to ensure your stay will be an enjoyable one and look forward to welcoming you to Cashel Court Motel Christchurch. Our Studio Unit Features: a King-sized bed, Microwave, Double hob, Under bench griller, 42" TV, DVD player, Sky TV, Leather 2 seater, Dining table and chairs, Shower over bath, and Electric Blanket. Our One Bedroom Unit Features: a King-size bed, Full-sized oven, Family-sized fridge freezer, Microwave, 42" TV, DVD player, Sky TV, Leather lounge suite, Dining table and chairs, Bedside cabinets, Shower, and Electric Blanket. Our Two Bedroom Family Unit Features: a King size bed with 32" TV in room, 3 single beds - can be converted to King, Full-sized oven, Microwave, Front loader washing machine, Tall boy set of drawers in each room, Bedside cabinets, Leather lounge suite, Dining table and chairs, Bath and Separate shower, 42" TV in the Lounge, Sky TV, DVD player, Electric Blankets, Dishwasher, Full size fridge/freezer, and Fully equiped Kitchen. This room has a King bed, Disable shower room ,microwave,electric hobs, electric frying pan ,under bench grill, rice cooker, pots, full size fridge/freezer 46" flat screen TV, 50+ sky channels,table & chairs & sofa. This room has NO capacity for extra persons. 2 Persons only. This unit has a King size Bed, a Disabled walk in shower room, under bench griller, microwave, electric frying pan, under bench fridge/freezer ,flat screen TV. Fold down Table & Chairs. This room has NO capacity for extra persons - 2 persons only. Our One Bedroom Unit Features: a King-size bed, with single bed, Full-sized oven, Family-sized fridge freezer, Microwave, Open plan kitchen, 42" TV, DVD player, Sky TV, Leather lounge suite, Dining table and chairs, Bedside cabinets, Shower, and Electric Blanket.